With sweeping mountains, active volcanoes and lands steeped in history and culture, it is easy to see why Auckland could be mistaken for a landlocked heaven. The first thing you will notice after landing in the city is, literally, a breath of fresh air. Take time to savour your surroundings because you will not want to miss this. If the picturesque landscape and the mix of modern and Victorian architecture don’t convince you then try the many thrill-seeking activities they have on offer, such as scaling the Sky Tower (the southern hemisphere’s tallest tower), climbing or even bungy jumping off the Auckland Harbour Bridge. 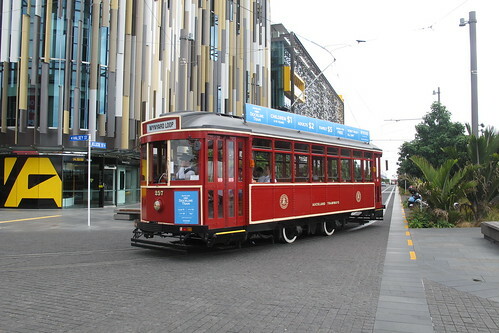 If adrenaline rushing activities are not you’re thing, then there’s a lot, and I mean A LOT more to do in Auckland. To my fellow history buffs who would rather stroll than jump off the ‘City of Sails’, the local Maori myth tells of an epic love story of Auckland and its indigenous population, complete with star-crossed lovers, rivalling tribes, magic and a ground shattering earthquake. Yes, it’s the stuff of Hollywood, in Auckland. This mythical story fits perfectly with Auckland’s lush landscapes, evoking a nostalgic romanticism. Auckland’s central hub is the best place for checking local or even international designers. So save room in your luggage because shopping is a must. 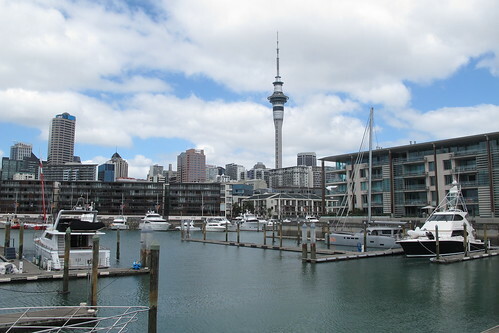 For a touch of nautical luxury, take a leisurely walk through Viaduct harbour. Tired of all that sight-seeing? Then sample the cuisine in the many restaurants that line the harbour. Outside of the city you can explore the many beaches, wineries and rainforests that border Auckland. Ride through the spectacular Waitekere Ranges or hire a horse and journey through Pakiri Beach. As the Maori say, Auckland is the “maiden with 100 lovers”. I’m pretty sure that when you leave, you will have become just one of the hundreds of lovers that have cast their gaze at this beautiful maiden.